Here at University Chevron, we know the importance of scheduled maintenance. As every driver should know, regular service for your vehicle keeps it much healthier and stronger than only coming in when something breaks. Not only is it easier and quicker to find and fix problems when they are small, but doing so extends the lifetime of every part of your vehicle. That is less money and time you have to spend on new parts and services. This is especially true when done by the ASE Certified professionals here at University Chevron. 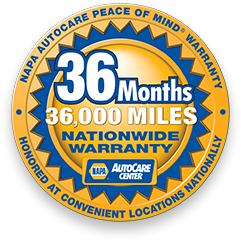 Proudly serving the Fairbanks area since 1977, give us a call, stop by, or schedule an appointment online for quality auto service you can not find elsewhere.